If you use some some outdated backlinking strategies or invest your money into an SEO service that is unreliable and untested, your websites could get severely penalized by Google. In the past 4 years, we have provided thousands of page 1 rankings serving thousands of clients from small businesses to large companies. Leave everything to our true experts and try our most comprehensive SEO services proven to deliver result you are waiting for. 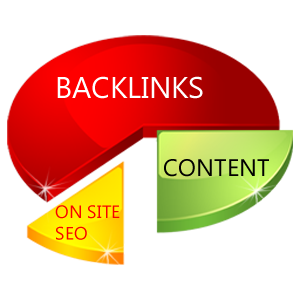 High quality backlinks are vital for high ranking in the search engines. Once your site, either a blog or a small business site, is up with some unique content, you should go for some effective backlink strategies for a good deal of traffic that will further get you high ranking on search engines. I will talk about 10 backlinking strategies that have been proven being effective in 2015 and will continue to work in 2016. You may have come across another term inbound links while doing research online. Both backlinks and inbound links mean the same thing. In layman’s terms, backlinks are the links to your website pages left on other high quality sites. Usually, these links are left inside or at the end of an article, blog post or comment. Backlinks from authentic sites are so important because Google rewards sites with a lot of backlinks from other high ranking sites or blogs. Other top sites will only point links to you if they are sure your site is worth it. In other words, only high quality sites succeed in getting links from other high quality sites. As you get more and more links, you get more and more hits on your site. In the first layer, you take the time to get as many links as possible from other authentic sites. But the second layer of links refers to the links that link to your first layer. Please note: don’t just build a lot of links in a short time as you can get put on the list of suspicious sites by Google, and you might get penalized, which means your site’s ranking can drop all of a sudden. To be on the safe side, it is a good idea to focus on the second layer inbound category, which means getting a lot of links that point to the first layer. Let us go ahead and find out about the sources of the inbound links for high ranking and loads of traffic. Social media sites are being used by almost every common and business user for online marketing. Facebook is one of the best social media sites used for internet marketing. But other sites, such as Tumblr, Twitter, Linkedln and Pinterest serve the same purpose. All you have to do is sign up with Facebook as well as Twitter and create your company bio with your site link in it. Do create a Facebook fan page to get more and more links to get the word out about your site. You can use Fan Page Robot to automatically post your links to the most popular social media platforms. website owners who will post your links or articles on their blogs or websites, which is similar to guest blogging services. Only buy backlinks from either high PR or high traffic websites. Before you order a service, you should always message the gig providers and ask them what sites they will post your links on. If you have designed, developed or launched something new, such as a website, blog or product, use a press release to tell the world about it. There are tons of free and paid press release sites that accept press release submissions, such as PRWeb.com. Of course, each press release will contain a link back to your site or blog. The good news is you can submit one press release to a lot of press release sites for better exposure and higher number of backlinks. Guest posts, as the name suggests, is the act of writing new articles or blog posts and sending them to a few relevant blog posts or sties for approval and publishing. This is a win-win for both you and the owner of the blog that gets the article from you. He get a free of cost post and you get a link that worth big bucks to you. Just make sure the article is high quality. Send the article to many webmasters. Someone will definitely get it published on their blog. Read our most popular cheatsheet: 13 Places to Share Your Blog Articles. Blog commenting is the easiest of all the backlinking strategies if you ask me. Just make a list of loads of top blogs in your niche and be ready to post high quality comments on each site with a link in the Website Link section. This way you can get as many backlinks as many comments you posted. Forum posting is somewhat similar to blog commenting. You have to make a list of a few successful forums related to your site’s niche. After you have signed up with a forum, you can start a new thread asking a question or take part in the discussions going on under an old thread. In any way, you can get backlinks with ease. Quora, Yahoo Answers, Mind the Book, Stack Overflow, LinkedIn Answers, etc. These Q&A websites are quite popular with internet users in the here and now. If you know a lot about the niche your site revolves around, you are the right person to answer questions. If people get a feeling that you know stuff, they will most likely visit your site to read more from you. Instead of using tons of low quality directories, I suggest that you focus on these three, or some popular local directories, if your target market is in a specific area. Article marketing is quite popular backlink trick, and it is very effective too. Articles are like backbone for any site or blog out there. As the name suggests, article marketing involves writing quality articles, blog posts and press releases and the get the submitted. There are tons of quality article directories out there, such as Ezinearticles.com and Amazines.com. While writing articles, keep in mind the specific guidelines of each directory so your articles don’t get rejected. Ezine is especially a bit too strict when it comes to getting articles approved. Each article has to have a minimum number of words and no spelling or grammar errors or Ezine editors may reject the article for revision. Most article directory receive and get articles approved for free, others have membership plans that cost you a few bucks per month/year based on the plan you have chosen. Ezine, for instance, offers you an option to go for any of their several membership plans. Once singed up with a plan, you can enjoy faster article review and response of inquires. Videos are quite interesting and eye-catching so they are used quite commonly for backlinks. Video sharing websites, especially YouTube, are best for posting videos to about your site. The upside is that you can post as many videos to these sites as you can for free of charge. Popular video sharing sites include YouTube, Dialymotion and Vimeo, to name a few. YouTube is operated by Google and is one of the best video sites. It has millions of videos, and is the largest source of videos about any topic under the sun. On YouTube and Dailymotion, you can post a video and leave a link back to your site below it. If you don’t have the time to create videos and post them, you can common on other videos and leave links, but don’t overdo it. Also, make sure the comment is adding value to the video, and is not boring or irrelevant. With these 10 backlink tricks, you can get tons of links from high authority sites in your niche. If you’ve got too much work to do, you can simply leave everything to our industry experts. Many small and large businesses outsource their SEO and social media campaigns to us. We will work hard to push your website to the first page of Google. Does Blogging Really Work? Yes, Yes It Does- 2 Examples of Success! WordPress vs Hubspot for Blogging- Which Is Better? I have had some good fortune over the years with certain backlinking strategies using directories, blog commenting and article writing. I am now attempting to see if the same tactics I used years ago will benefit my new blog. Thanks for these extra tips you’ve mentioned, I’ll now use those as well! Great list of ideas for backlinking. Thank you! Thanks again for the nice list of options! Gotta love number 2 Buy Backlinks on Fiverr = BIG WIN. I always hate the idea of paying someone for doing what I can do, re: Fiverr, but, one has to consider it takes, on average, 20 minutes or more to create a backlink in any of the ways mentioned above. Fiverr might be very cost effective?? Very interesting. I agree with Brian and i hate this idea too. If i can do it, i will do it, and not pay anyone to do the job. And i agree with the article, our sites/blogs need to be more on social media to rank higher, for me this is now more important than do guest posts. I dont have idea about how to build backling, but after read awesome article from here i got the basis idea about it. Now i am ready for apply into my new website. 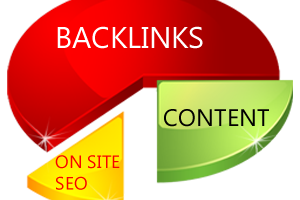 Off all your backlinks strategies is really very helpful for us. I have written to your strategies on my hand note. .! Now I am jump into create backlink for my website. Thank you. this article is amazing. I have started a website so this information is very important for me.. thank you so much sujoy for sharing…..
Good article. Do you think article marketing is still valid? i can’t see any of the article directories getting indexed for high search volumed keywords. What’s your thought on this? Article marketing will only work when you know where and how to post it. Read our SEO services page and contact us for the best results. Personally, I thought a lot of these lacked creativity and bordered on either useless (either because of overuse or low quality backlinks) or blackhat, leading to penalties from Google. I suppose they’re fine if you’re a novice with no knowledge of SEO, but anyone with intuition for the internet could have figured most of this out by testing. Summarized, this could have been: A) Write quality b) Get involved with your community C) Employ blackhat techniques and get banned from indexes. This is not meant to criticize you as an author, but telling people to buy links is dangerous advice. Just saying. I apologize if this comment is offensive. The advice about guest posts is spot on though. Great if you can do that with high authority blogs/websites. Backlinking is a killer any day, any time for traffic generation. Thanks to the author for finding time to share this great article. Wow this is one of the best articole about backlinks competitor analysis… I learn a lot and i will apply all I learner here. Thanks!! b) only backlinks from either high PR or high traffic websites. You mentioned to ask gig providers what sites they will post your links on, any possibilities for me to check / control what they are doing? It’s so comforting to know that I’ve been using the exact backlinking strategies! I have indeed learned a few things from this post, though. I haven’t really gotten into writing guest posts yet, but I will surely look into this! Thank you so much! Interesting post. But I’m not sure why you mention here to buy backlinks from Fiverr as almost all link building expert suggest to avoid Fiverr. It depends on who you are buying from. We have a few tips above to help you identify the good websites you can build backlinks with. Indeed an amazing post having lucrative information about creating quality backlinks. Well i have tried all the ways that you have mentioned except buying links from Fiverr. The search engines may utilize your chosen title tag for the blog when displaying your page in the search rankings. In any of the leading search engines, the Meta keyword tag does not help your ranking, not even slightly. can html be used on forum posts? that seems like it’d be a easy way to get a ton of links out too. I think back links will stay being the most important factor for a long time. It won’t change in the recent couple years.